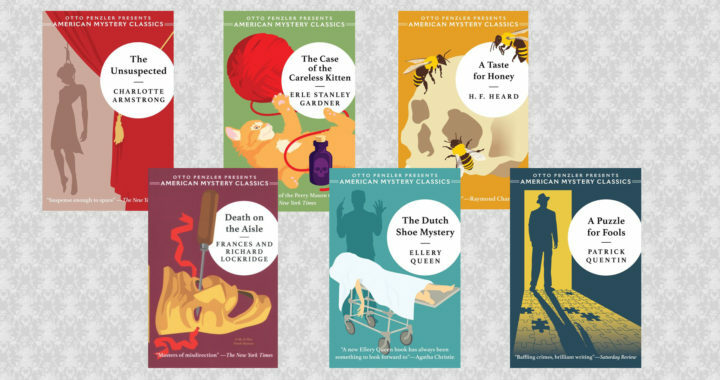 From Penzler Publishers comes six more American Mystery Classics from the Golden Era of crime fiction. Spring is in the air and with it comes another set of reissued crime fiction novels for mystery lovers. 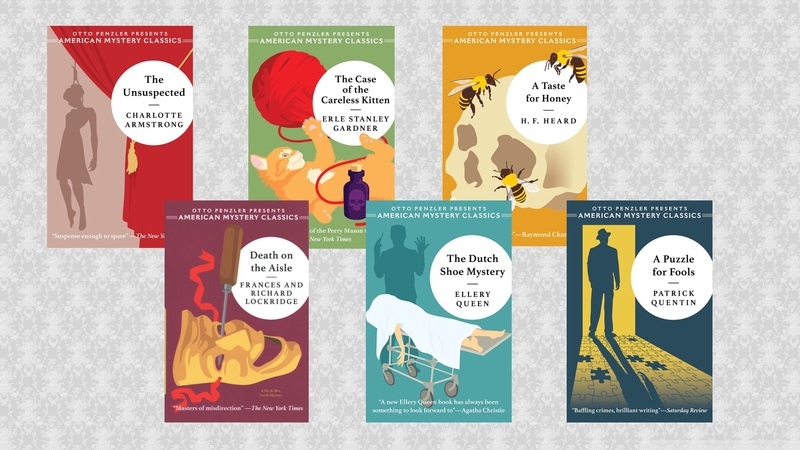 Last year, six titles in Otto Penzler’s new American Mystery Classics were released, giving crime fiction fans the opportunity to read books that had been out of print for decades. (For my review of those first six books, please see here.) Now, the series continues to expand, with six more classic novels, including some very famous and familiar faces. All are enjoyable reads, but the best of the bunch is The Case of the Careless Kitten, starring Perry Mason. Many of the Mason novels follow the same—albeit consistently enjoyable—template, in which Mason takes on a seemingly unwinnable case and proves his client innocent in a climactic court scene. This novel, featuring a poisoned feline and a long-missing man making a dramatic return, shakes up the formula a bit. The major trial that dominates the second half of the book is not the murder trial but instead is a trial attempting to convict Mason’s loyal secretary, Della Street, for tampering with evidence. The stakes are doubly high when we learn that D.A. Hamilton Burger plans to use Street’s conviction to get Mason disbarred. This is a great book to illustrate the difference between Gardner’s novels and the TV series (at least, before the TV series influenced Gardner’s books). Mason is a bit more hard-boiled, the relationship between Mason and Street is a touch more passionate and open, Street is more willing to step over an ethical line, and Lieutenant Tragg is a younger and more physically imposing man than Ray Collins’s fine portrayal from the show. The biggest difference is in Burger. On the show, Burger still has a nasty habit of prosecuting the wrong people, but he and Mason are amiable adversaries, even going to dinners together and enjoying each other’s company on hunting trips. On the show, they’re opponents in the courtroom and friends after the trials. The Case of the Careless Kitten marks a dramatic shift in previous portrayals of Burger. Burger is introduced in The Case of the Counterfeit Eye as a cordial sort who’s more than willing to let Mason identify killers for him. By Careless Kitten, Burger loathes Mason and considers him an unscrupulous showboater, and over the next few decades, Gardner’s version of Burger would grow increasingly caricaturized and obsessed with defeating, humiliating, and disbarring Mason. The best part of the book is a face-to-face confrontation between the two men, as Mason gives an impassioned speech to Burger, attacking him for believing in the infallibility of the criminal justice system and arguing that theatrical tactics are crucial in order to save the wrongly accused from a system stacked against them. This scene mirrors Gardner’s real-life efforts to free the wrongly imprisoned in his classic Edgar-winning true-crime book, The Court of Last Resort. Death on the Aisle, featuring the famous married couple The Norths inserting themselves into the investigation of a mysterious murder on Broadway, is a fun albeit frothy read. It’s a bit less substantial and memorable than most of the other entries in this sextet. Pick up the collection now! The Dutch Shoe Mystery is a classic Ellery Queen, complete with blank pages for readers to scribble their thoughts on the case, and a break for readers to finalize their theories on the case before the ultimate revelation. When the patroness of a hospital is strangled to death before a life-saving operation, Queen and his father must investigate. It’s a strong entry in the Queen saga, but there’s one tiny problem. At one point, there’s an anatomical error that, if caught by the reader, may shift suspicions toward theories of a transvestite killer. As it turns out, this was simply a mistake, and perhaps the creators of Ellery Queen were made aware of this problem after publication because they turned this slip-up into a critical plot point in one of their short stories. A Puzzle for Fools has one of the best settings imaginable for a collection of suspects: a mental hospital. Traumatized after the violent death of his wife, Peter Duluth, a Broadway play producer, has checked into the hospital to cure himself of his alcoholism. Murder shakes up the placid life at the sanitarium, and the patients and staff are soon suspects. As Otto Penzler notes in the introduction, since this is the first entry in a series, it is no spoiler to say that Duluth eventually leaves the sanitarium in good mental health, nor is it a spoiler to say that the chief suspect is innocent, for she and Duluth are married in later books! A Taste for Honey is a delightful story featuring a mysterious apiarist named Mr. Mycroft. Ninety-nine percent of mystery fans ought to identify his true identity immediately, but Sydney Silchester, the narrator of the story, doesn’t. When a sudden death by bee sting shatters the placid countryside, Mr. Mycroft drags an unwilling Silchester along to investigate. Silchester is no Dr. Watson, lacking the famous narrator’s loyalty and daring, but it’s a treat for fans of Sir Arthur Conan Doyle, up to the final joke at the end. Finally, The Unsuspected is an odd blend of P.G. Wodehouse and Gaslight, a mixture of psychological thriller and farce. With a murder disguised as suicide, a temporarily missing heiress, and an amateur investigator pretending to be the absent heiress’s husband, it’s a dark comedy exploring how the most dangerous murderers are the ones who manage to remain completely unsuspected—except by perceptive friends who don’t like to see their pals murdered for their money. Otto Penzler has done mystery fans a great service with these reissues, and I look forward to upcoming entries in the series. Posted in Blog Article, Reviews and tagged American Mystery Classics, Otto Penzler, Penzler Publishers, reviews.